Recent interest in the work of Richard D. James shows there’ still a large audience for his work, even though he hasn’ released an album under the name Aphex Twin since Drukqs in 2001. 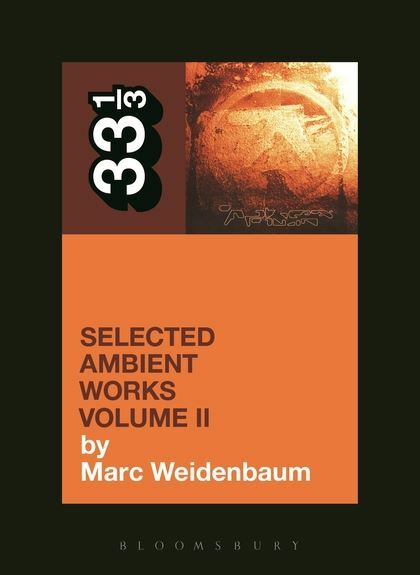 Marc Weidenbaum is the author of a book on Aphex Twin’ album Selected Ambient Works Volume II, published as part of the 33 1/3 collection. Unlike many other books in that series, Weidenbaum’ focus is less on the process of recording the album and examines more the reception and application of the material, from the naming of the untitled tracks in services like iTunes to their appearance in a variety of contexts â€” including movie soundtracks and modern dance. Ambient music has grown considerably since Brian Eno first developed the idea of a kind of soundtrack that is both foreground and background listening. It’s been 20 years since the release Selected Ambient Works Volume II, which seemed to revive the genre launched on Eno’ Discreet Music album from around 20 years earlier. It surprised many, and according to the book this included Aphex Twin’ own record labels, Warp and Sire. Jason Richardson: The “Avril 1st” joke seems a good point to start a conversation about your book, since it shows how much of an audience there is for more SAWs. Do you think those days have passed? You link the album to the chill-out scene of the early ’90s but some of that aesthetic seemed to be revisited earlier this century via Burial. Is it timeless? Marc Weidenbaum: I think the popularity of that “Avril 1st” joke says a lot about a lot of things. Around the same time that the joke appeared online — the idea that he’d recorded this track, and that it had been discovered amid of heap of previously unreleased music — news broke of someone asking in the low five figures, in U.S. dollars, for some unreleased music by Caustic Window, another of his monikers, dating from 1994, the same year that Selected Ambient Works Volume II came out. Both phenomena speak at least in part to the value of scarcity. No current music could imaginably be as valuable as that — except, to look at another detail from a snapshot of the current moment, perhaps that Wu Tang album of which only one copy is to said to be planned for release — but something from the past to which we did not yet have access? That, in stark contrast, is perceived to have significant value. It’s quite fascinating. As for the aesthetic’s persistence, the lineage from chill-out room to Burial, with many stops in between, is pretty clear, though as I say in the book, “first came the needy, later the aficionados” — by the time of Selected Ambient Works Volume II this sort of music had already made its transition from functional music to art music, from background music for healing to a music to also be paid attention to. As for the word “timeless,” I think it is like “silence” — it exists as a platonic ideal, at best, and an obscuring concept at worst. In the book I explore the word “timeless,” and get at how the record achieves it in three ways: compositional, functional, and practical. Jason Richardson: Is SAW II your favourite album? Or, what interested when proposing to write about it? Marc Weidenbaum: It’s my favorite Aphex Twin album, a close second being the “Ventolin” single that came out after it, and Surfing on Sine Waves, which he released under the name Polygon Window, is up there, too. It’s among my favorite albums, certainly, though by no means is it singular among my favorite records. I have many favorite records, and the list shifts with some regularity. One personal list that Selected Ambient Works Volume II is firmly on is of records that I have most frequently given as gifts. That list is how I started coming up with a subject for my 33 1/3 pitch. I wanted to start with a record I felt evangelical about, enough to have given it out many times. This included albums by Boxhead Ensemble, Monolake, DJ Krush, and Oval, and Peter Gabriel’s soundtrack to the Martin Scorsese movie The Last Temptation of Christ, among other records. I came to it through that process: think first of a record I feel strongly about it, and then think about why I feel strongly about it. I wanted to write a 33 1/3 book, and I had tried once before, having proposed the debut, self-titled album by the Los Lobos spin-off group Latin Playboys, which included Mitchell Froom and Tchad Blake among its members. I’ve listened to this Aphex Twin album since the time of its release, and one particular thing that interested me about it is how it sounds different today, how culture has kind of caught up with it, how the record is knowable today in a way it wasn’t upon its release. Ambient music is, at heart, music that works both in the background and the foreground, and I wanted to write a book about this album’s transition over time from the former to the latter. Jason Richardson: You’ve mentioned having written a draft of the book that you shelved to start afresh. Why? Marc Weidenbaum: What you’re referring to is that I have 45,000 words or so on my hard drive that aren’t in the book. When I wrote the book proposal to 33 1/3 in April 2012, I proposed the book on Aphex Twin that I ended up writing. The first chapter of this book is very similar to the text of the proposal, including one highly unfortunate single-letter typo. One thing I learned in the process of developing that proposal was, in addition to the book I wanted to write, also the sort of book I didn’t want to write, which was specifically a track-by-track breakdown. I’ve read many books like that, and they don’t hold an enormous amount of appeal for me. They’re useful as references, but they don’t really, generally, with some exceptions, hold together as books, as narratives. The thing is, when I have an idea in my head, often the only way to get past it is to do something with it. By way of reference, a friend of mine, the Philadelphia-based musician Shawn Kelly, who records as Arckatron, among other names, released a record of beats titled Gettin’ Dilla Out of My System, in which he tried to work through the influence on him by the late producer J Dilla. When the painter Mel Ramos was trying to work through the influence of abstract expressionism, as he entered the pop art phase for which he is best known, he did works that were as much parodies of Willem de Kooning as they were tributes — loving parodies, parodic homages. I can relate to those tactics. Once my 33 1/3 proposal was accepted, I sat down to write the book I had proposed, the book I wanted to write, but the book I didn’t want to write — this track-by-track thing — just sat there on my shoulder, and the only way to shed it was to go ahead and write it. So I did. The work was useful. It got it out of my head, and it as a byproduct gave me language to draw from in the book I wanted to write. You can get a taste of this material on my Disquiet.com website, where for the 25 days leading up to my book’s publication in the United States I posted brief write-ups of each track on the record, one track per day. But to be clear, it’s not that I wrote this other track-by-track book first — I wrote both books, as it were, simultaneously, on and off. I have it in my mind to maybe, in a few years, clean up this “other” book and publish it. The working title is Selected Ambient Works Volume II Volume II. That’s a big maybe. The exercise worked all too well: I was very successful in getting this out of my head, and the desire to revisit it isn’t particularly strong at the moment. But who knows? Jason Richardson: Your book has a perspective that reminds me of cultural studies, in that it looks at the album without focusing on authorial intent. There’s a lot of discussion on the life the tracks have had since they were released. In that way it seems different to the other 33/3 books I’ve read. Would I be right in guessing this is in part a way of getting around the matter of access to the author? Do you think it would be a much shorter book if you had focused on its creation? Marc Weidenbaum: There’s several questions in there. To begin with, how one comes up with an idea is not often a linear, causal thing. It’s taken me a long time to learn this, and longer still to benefit from having learned it. That book proposal was an intense experience — deciding to dedicate the time to the process, sorting through potential subjects, weighing them, discussing with friends and colleagues, working on various ideas until one really grabbed me and became something I felt I could dedicate the better part of a year to. I certainly didn’t expect to be able to interview him a second time — I interviewed Richard D. James in 1996, on the occasion of the release of his record The Richard D. James Album — and he has become more and more reclusive from the media and the public in the intervening years. Once I sorted out the book I wanted to write, and once the proposal was approved and the contract was signed, I got in touch with Warp and was told, yeah, he probably wouldn’t be available, which turned out to be the case. If I’d been able to interview him, that wouldn’t have necessarily changed the book I wanted to write. There’s always the chance that in the process of interviewing him I would have been led to a new approach — that’s often what happens in documentary films, for example: when coming in contact with the subject, the director changes course — but at this stage I’m getting deep into hypothetical territory. As for the length, I think it would have been an even longer book. And as for the book I published, the only reason it’s this length is because that was the maximum word count, per the contract. I easily could have written more, and I think I actually went over that maximum word count a little, because I added some material during the prepress process, in preparing it for publication. To get back to authorial intent, I don’t think I avoid it. I just don’t focus on it unto itself. Authorial intent is interesting, but it’s a pretty hermetic way of considering a work of art. While I didn’t interview him for the book, I interviewed people who worked with him, and that’s a standard approach in biographical writing. I even mention the specific words “authorial intent” in the book when I discuss the album’s timeless qualities. Jason Richardson: SAW II is possibly his most accessible work and I found it interesting to learn it was a kind of major record label debut, although true to form you don’t suggest that might’ve been his intent. The Aphex Twin antagonism still seems obvious on the album, I remember playing it to lots of people and they’d ask me to skip particular tracks that were percussive and/or dissonant. You’ve described RDJ as a ‘culture jammer’, how does this play out in his work? Marc Weidenbaum: I’m not sure I could describe it as his most accessible work, in part for the reason you mention, how dissonant it can be. To some listeners it may be his most innocuous work, and as culture has caught up with it this sort of listening has become more common, but to many listeners it is a dark and foreboding experience, and in my mind it lacks the comforts of overt consistent rhythms and, even more so, song structures. A “culture jammer” is someone who inserts confusion into the marketplace, who messes with the idea of a consistent media narrative. Aphex Twin did this in countless ways: coming up with numerous pseudonyms, positing myths about himself via the media, playing at being both remote and an extrovert, and on and on. This album in particular functions as having culture-jammed itself — a special subset of culture jamming. It does this in various ways, key among them having varied track counts depending on format, dispensing with the idea of titles, dispensing with the hooks that traditionally made pop music recognizable, eschewing song format and overt rhythms, adopting images as track titles, and layering in stories about lucid dreaming and having created all the music technology himself. He made it, from the start, a very difficult record to get a firm grip on. 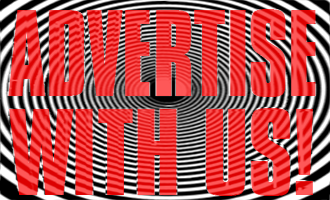 On the one hand, that is at the heart of culture jamming: to mess with consumerist tendencies, to make something less than firmly knowable. Of course, on the other hand, as we’ve learned over time, those same skills can yield fetish objects, objects of fascination and intense devotion. Jason Richardson: You mention the vacuum around his work and the magnetic way it attracts meanings. I think the brand Aphex Twin is a bit like that in itself, kinda enigmatic yet cool sounding. What was your experience when interviewing him? Marc Weidenbaum: I’m going to not use the word “brand” myself, if that’s OK. I get what you’re getting at, but that’s language I’m pretty cautious about. My experience was quite positive. This is back in 1996. I’d been warned in advance that he was not a great interview. Even his publicists told me not to get my expectations up. I’d done tough interviews before. I’d once called up Keith Rowe at the appointed time for an interview and as far as I could tell he simply let the phone dangle by its cord and played guitar. I’d interviewed Timlaband, and he was more reticent to utter complete sentences than a character in a David Mamet play. I’ve experienced ice-cold responses, and I’ve been in situations when I have asked one question and the interviewee proceeded to speak, somewhat nonsensically, for close to an hour. So, when I called up Richard D. James, I was pretty well-girded. He picked up the phone, said hi — and then the phone line went dead. I was like, “Man, this is even worse than I’d been led to believe. He hung up on me.” But then he and I then got back on the phone and he apologized. He said he’d disconnected it by mistake, and we went on to have a very pleasant conversation. The whole transcript is on my website, Disquiet.com. Jason Richardson: You’ve mentioned the ubiquity of ambient music in a Gizmodo interview citing soundtracks but is there more to it than background texture for a primarily visual experience? Marc Weidenbaum: Oh, certainly. Just head over to SoundCloud or Bandcamp, where there are endless listening opportunities. Listen to labels like Ghostly and 12k, and to countless netlabels. There is so much ambient music today, so much music that plays with near silence. Certainly the music’s arrival as a force in culture is marked by its adoption in film, television, video games, and choreography, but from much sound art to the ever-expanding realm of electronic composition, this sort of music, this sort of sound, is exceptionally prevalent today. Jason Richardson: How much do you reckon Brian Eno is an influence? Aside from shaping the ambient genre, RDJ also seems to also be very process-driven in his approach. Marc Weidenbaum: I don’t think Brian Eno’s influence can be particularly overstated. Jason Richardson: Wait, do you mean it shouldn’t be overstated? Marc Weidenbaum: Maybe it’s an American English versus Australian English thing, but I meant the opposite of how you interpreted it. I meant: Brian Eno’s influence on culture — musical and otherwise — is wide and deep, to the extent that it’s difficult to be overstated. Matters of “influence” make for a really large topic. I can only speak to Aphex Twin’s sense of that influence to the extent that he himself has noted it in interviews. Beyond that it gets foggy. Certainly it’s hard to imagine a young British musician in the 1980s and early 1990s taking the word “ambient” to heart and not having Eno on his mind. Jason Richardson: You mention that some people interviewed for the book discussed Aphex in a past tense? He still seems to be making interesting work, I like http://youtu.be/NJHsT8kEyzs a lot. Marc Weidenbaum: Yeah, he pops up on occasion, but he’s nowhere as publicly prolific as he once was. He barely ever releases music commercially. I’m hopeful he’ll become a regular presence again. To get back to your opening question, that “Avril 1st” joke likely wouldn’t have worked as well if it hadn’t occurred in the long absence of new commercially available Aphex Twin music. Jason Richardson: Are you going to join the Kickstarter campaign? I keep thinking there’s probably a reason why that album wasn’t released, even under a pseudonym. Marc Weidenbaum: I’ve already joined the Kickstarter. As for the Caustic Window non-release, I’m sure there’s a reason, but I don’t know what it is. It could have been a practical one, or it was whimsy. In 1994 he’d just signed with Warp and, subsequently, with Sire, and he had put out tons of music, under the name Aphex Twin and others. I can imagine a dozen scenarios, and they’re probably all wrong. In my book on the album, Risa Morley, the woman who signed him to the Sire label, mentions how Sire’s founder, Seymour Stein â€” whom I also interviewed for the book, albeit more briefly than I did Morley â€” was not interested in signing Richard D. James’ multiple monikers. Who knows, maybe that cued him to keep his output a little quiet for awhile. Perhaps he didn’t want to distract from the appearance of Selected Ambient Works Volume II. I certainly do not know. Jason Richardson: Do you have any thoughts on why Richard D. James’ output has diminished in the last decade? Marc Weidenbaum: I have no firsthand insight into why, aside from this: I have come to interpret various factors, as I mention in the bit about the guy from Chrysalis’ experience, to mean that ultimately he was happy to make the music he wanted to make, and all the more happy when doing so afforded him the opportunity to not be a public figure, to not need to tour, even to perform, which is a mode that most musicians aspire to, or think is required, or both. The short version: think Glenn Gould, or the Beatles, to some extent. As the fellow I interviewed from Chrysalis, Aphex Twin’s music publisher, suggests: when Richard D. James recognized that licensing his music meant he didn’t have to perform and didn’t have to really think too hard about what a record-buying public might want, he got very interested, indeed.